Legal proceeding does not guarantee success and has you simply waiting for the inevitable. If you want to be ahead then you should take control of the divorce matters, including the separation, financial settlements and children issues, it is so important to remain focused, in control and in possession of a clear strategy. You should consult the best divorce lawyer in Dubai. Dr. Hassan and his team of legal experts at Al Rowaad Advocates will help you stay one step ahead during this emotionally difficult time. With his team of dependent Family Lawyers in Dubai will provide you strategies that would be beneficial in your cause. 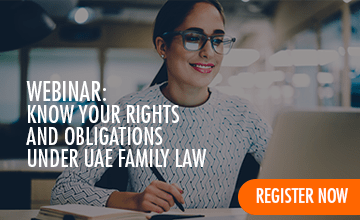 If you are already represented by a divorce lawyer in Dubai, it won’t mean that you cannot seek for another opinion to compare or be more prepared. You should be open for more possibilities to be brought by different family lawyers in Dubai. The divorce dilemma is a big impact in one’s financial and well-being, You should be sure of the people who will represent you, Dr. Hassan formulate a holistic approach from different angles so there might be a chance that an idea brought during discussion will be the most significant legal contribution in your divorce case. If you are a person who wants to control his/her future, a clear strategy. Don’t waste your time and second thoughts and Contact us now. Dubai-based divorce lawyers, we offer the best legal assistance for your case. If your divorce is already under way, whether or not a family lawyer in Dubai have been appointed yet, and you feel that you are not in capable hands, then you will certainly seek for the best divorce lawyer in Dubai whose expertise has been trusted and tested. Let us share our un-biased advice.